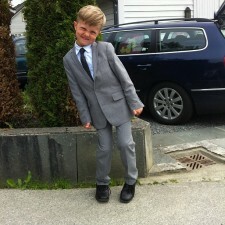 You are browsing the Blog for mod suit - Scoop: The Appaman Blog. Happy (post) holidays! We’ve rounded up some of our favorite holiday-approved looks from some of our biggest fans. 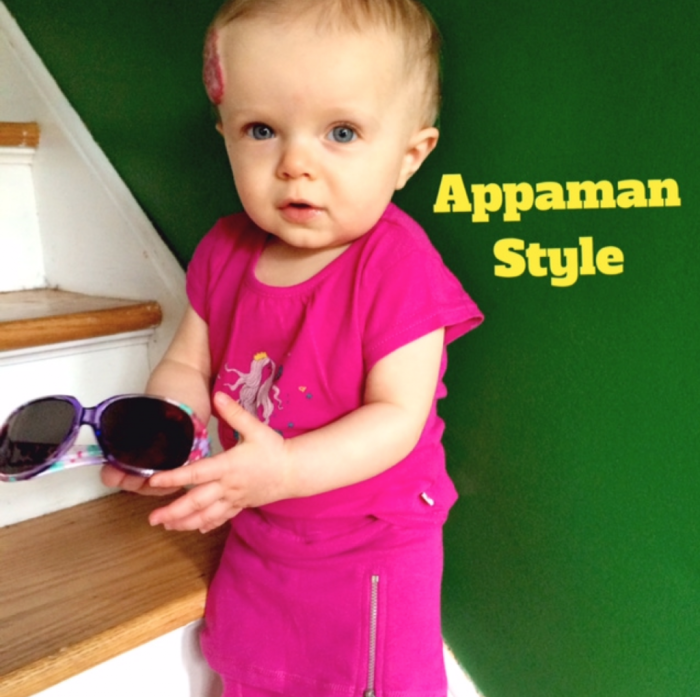 We love to see how you wear your Appaman duds. 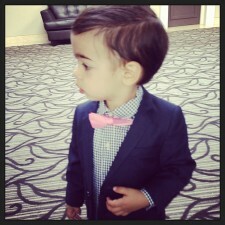 Tag us on Instagram (@appaman or #appaman) to give us a peek of your personal style. There’s nothing we love more than seeing how creative Appaman fans are when they’re expressing themselves through personal style. Feeling inspired? Bookmark Appaman’s Fine Tailoring Collection so our formalwear is always one click away. Alright alright alright! 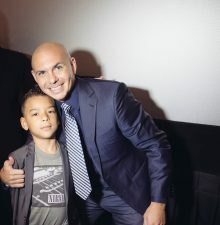 Appaman hit the red carpet again at the December 4th premiere of Matthew McConaughey’s movie, Sing. 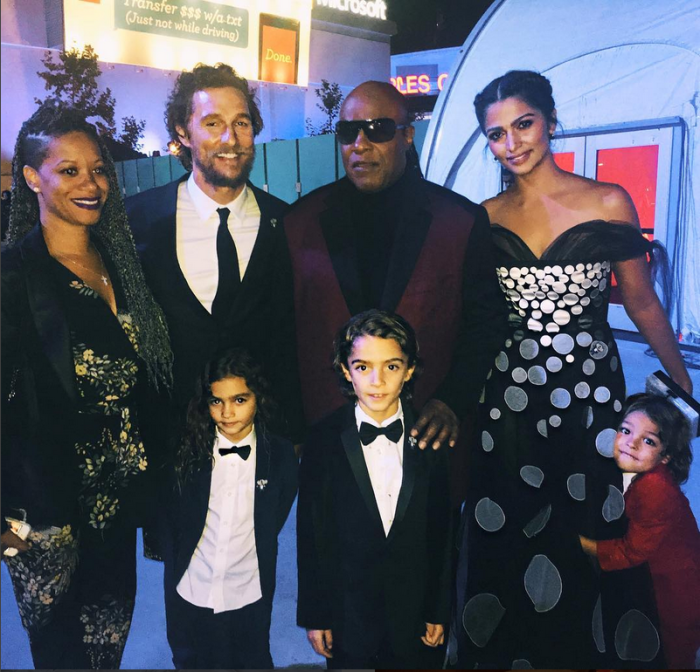 McConaughey’s wife, Camila Alves, posted an Instagram photo of the family meeting legend Stevie Wonder. Siblings Levi, Vida, and Livingston, who often coordinate style with their fashionable parents, all decided to match each other this time around! 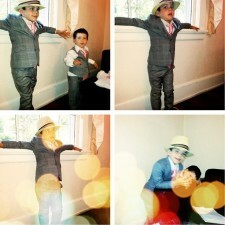 Each of the three kids is wearing their own version of a suit and bow tie combination. 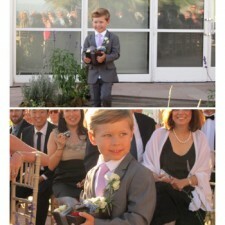 As always, we’re honored that they chose Appaman Fine Tailoring for such a wonderful occasion. 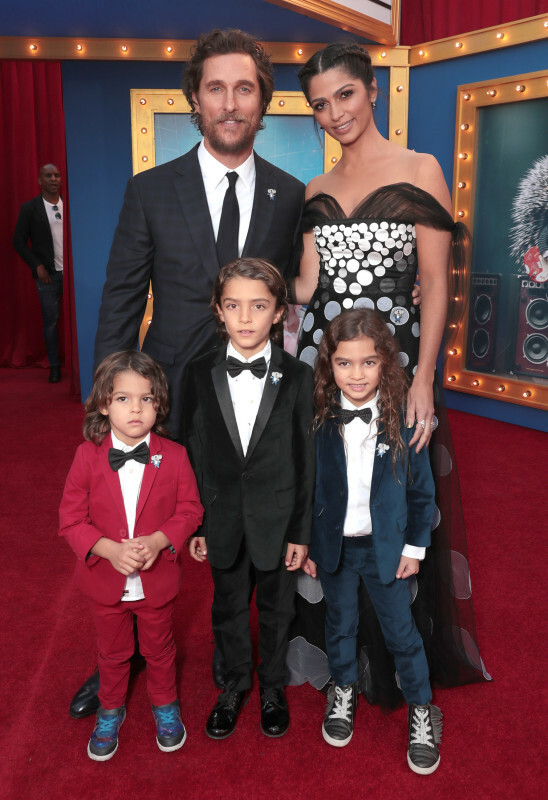 For more photos of the premiere and the McConoughey-Alves family’s awesome red carpet looks, visit Just Jared. Inspired? Find the style that suits you with Appaman Fine Tailoring. Adding a formal coat or fun jacket to your holiday party outfit is a great way to complete your photo-ready look. Why cover up your fancy fashion with snow gear when you could complement it with faux fur, velvet, or a smart and sophisticated overcoat? Nothing beats a great coat or jacket to add the perfect final touch and make a special event extra special. 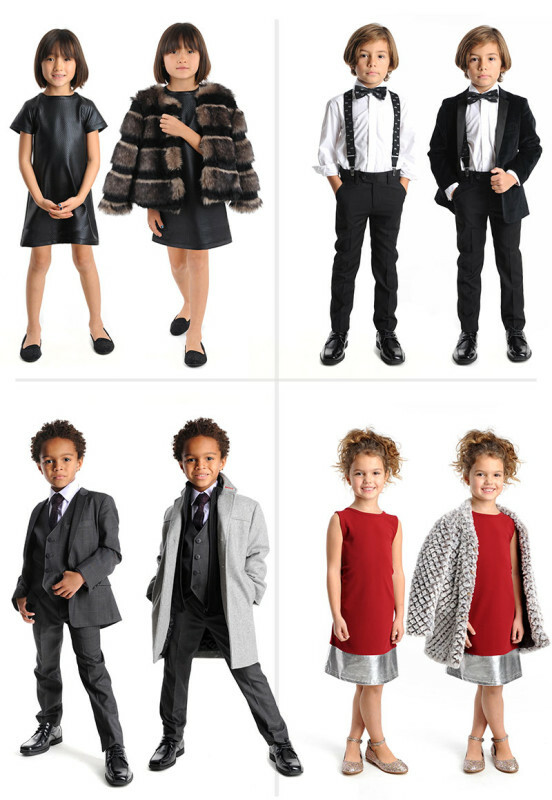 For lots of great holiday looks and outfit ideas, shop the Boys Fine Tailoring collection here and the Girls Fine Tailoring collection here. This just in! 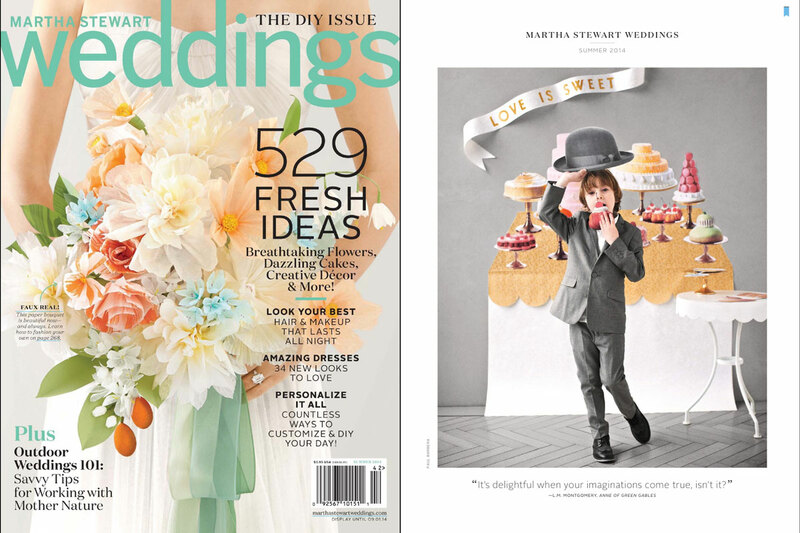 Appaman’s Mod Suit in Mist (a perennial fan favorite) was featured in the Summer 2014 issue of Martha Stewart Weddings magazine, paired with our classic Standard Shirt in White. 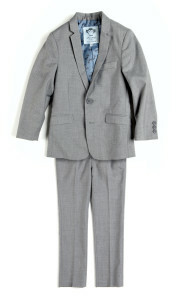 For guests or ring bearers, the Mod Suit in Mist a popular choice for weddings in any season. 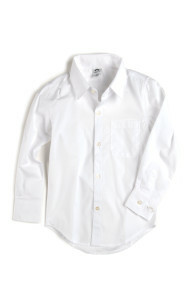 It goes with almost any color shirt and tie, so you can wear it a million different ways…but nothing beats classic white. 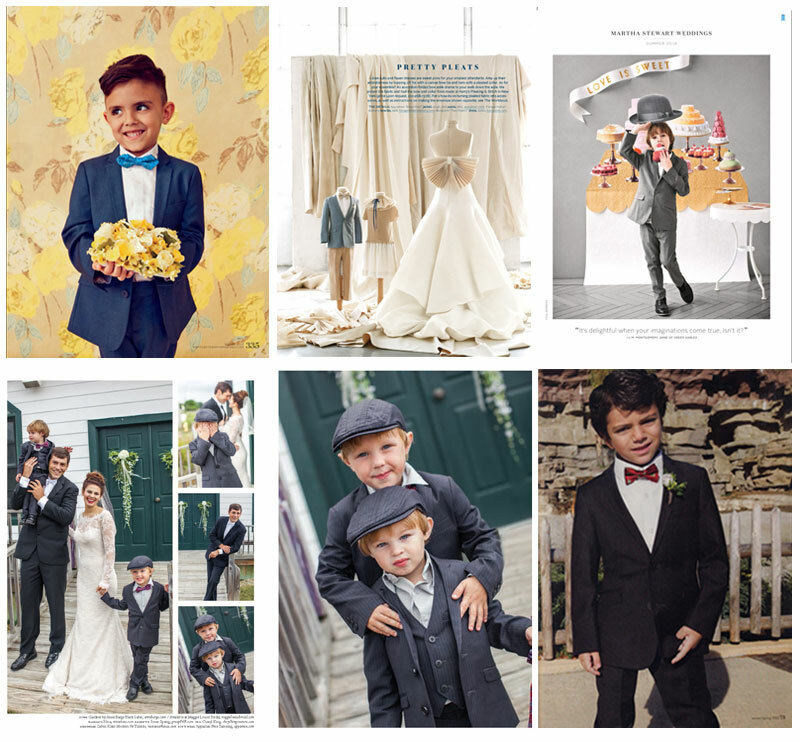 Fans love the “grown up” fit and look of the Mod Suit, and boys love how they can look sharp while staying nice and comfortable in their formalwear. To view our complete Fine Tailoring collection, including hats, ties, and more, visit our online store. 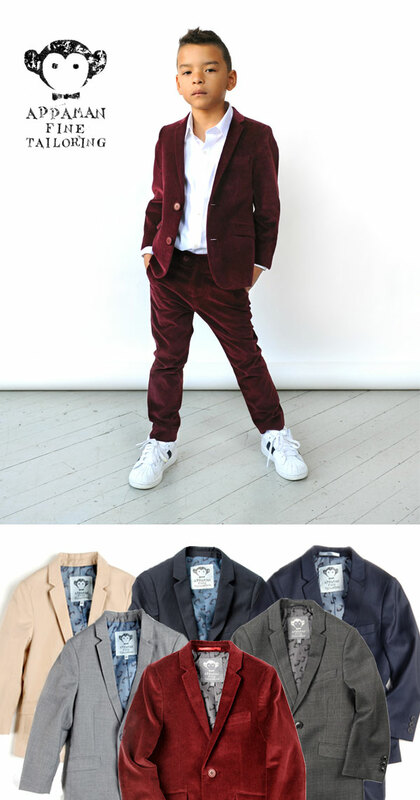 Our AppaMom featured bloggers have been hard at work adding their own spin to Appaman Spring/Summer 2014 style. Fine Tailoring, graphic tees, and fun accessories – you name it, they’ve styled it! 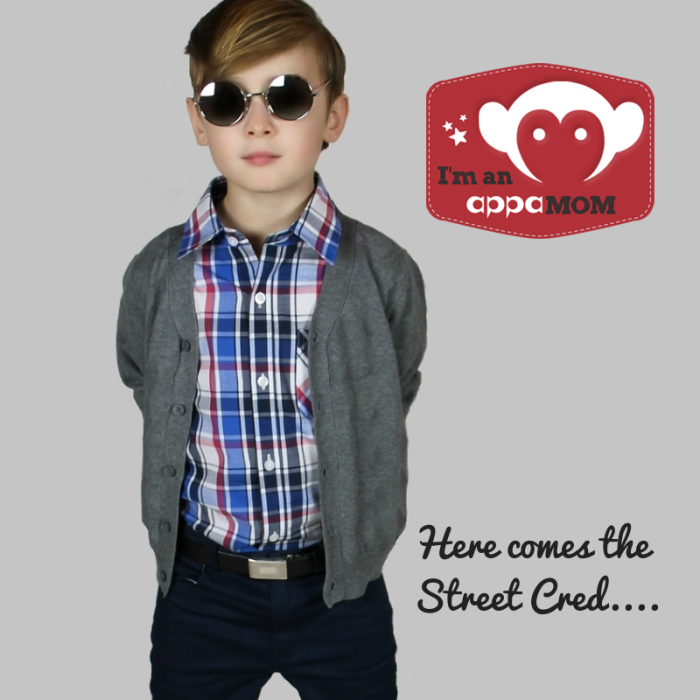 At PopStreet Kidz, Wynn experimented with layering and rolling the cuffs of his Skinny Twill Pants and Stanton Shorts to create his own tailored looks – from crisp and preppy and rock ‘n’ roll casual. 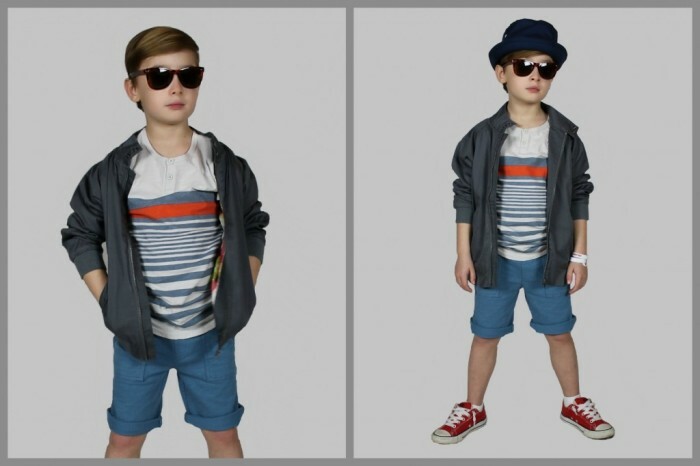 We love the attention to detail here — whether it’s a smart cuff on the pants paired with a button-up shirt, or the pushed-up sleeves of the throwback Barracuda Jacket over a graphic henley tee, this mom and son team have put together a series of looks that looks cool and effortless. 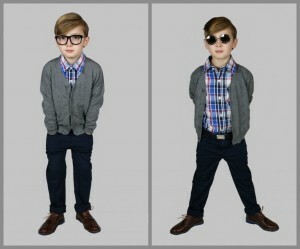 Check out their blog to see more personalized looks and ideas for mixing Appaman pieces into your wardrobe. 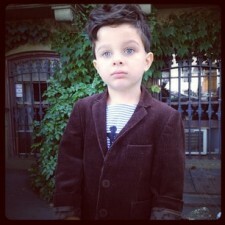 Next up is Stroller in the City, who opted to stylize a longtime Appaman fan favorite: the Mod Suit. 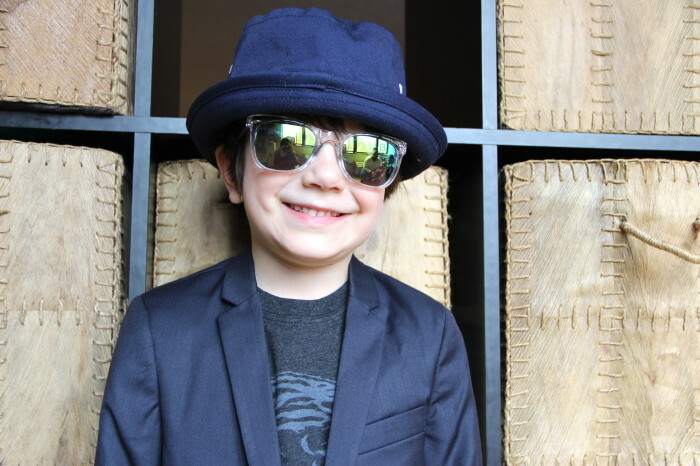 Rocking the Mod Suit with a cotton Fisherman Cap, mirrored sunglasses, and tiger graphic shirt makes for a great combination of formal and casual. 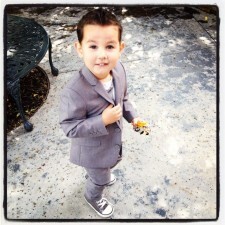 Model Ryder is on his second Mod Suit, and mom Brianne says, “Ry has worn this suit in so many ways… to a formal function with a button down and tie, just the jacket with jeans, just the pants…I wanted to showcase how this suit can be worn dressed down, we rolled up the sleeves to show off the Appaman signature logo and paired it with the Tiger Slub Tee rather than a tailored shirt.” See more photos here. And finally, we have our girly look of the group! Nine month-old Victoria is our youngest featured model, sporting some pieces from Appaman’s girl collection over on Mom Generations. Going for the all-pink look, Victoria is wearing some of our favorite multi-purpose pieces that are available in mini sizes as well as big kid sizes. The Mermaid tee is a spring and summer staple that looks great with the Boardwalk Cardigan in the chilly weather. 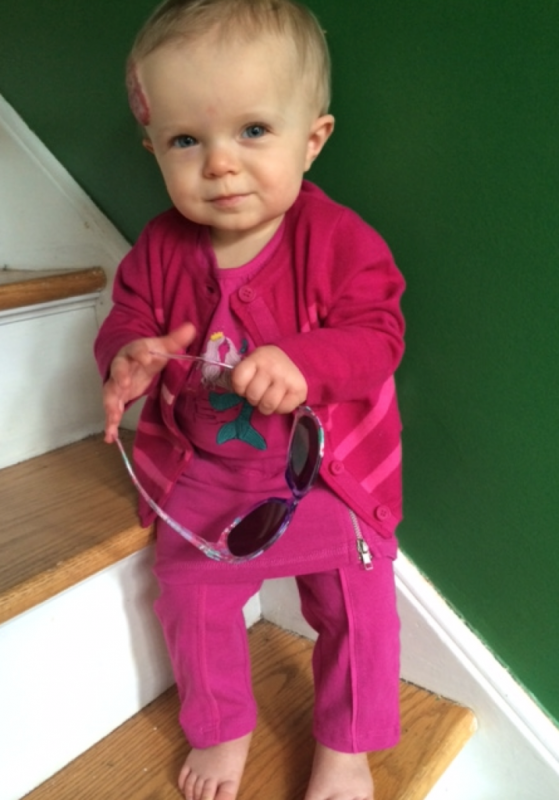 Girls of any age know that a skirt-and-legging combo like the Lexie Capri is comfy and functional. 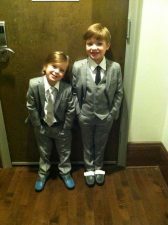 We were glad to see Appaman Girl and Appaman Mini represented in Mom Generation’s house full of boys! For more photos, visit their site. 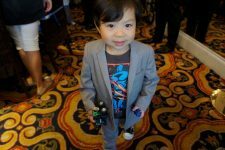 We love to see our fans get creative when styling our Mod Suits, Suit Pants, Standard Shirts, and other pieces from our Fine Tailoring line. 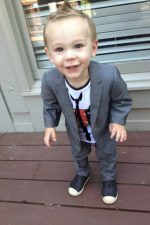 Worn casual with kicks and graphic tees, or dressed up for a stylish and comfortable ring bearer look for a wedding, there seems to be a suit for every occasion. Pop Street Kidz gave the Mod Suit (in Vintage Black and Mist) total tough guy treatment by rocking it on the back of this rad yellow chopper. 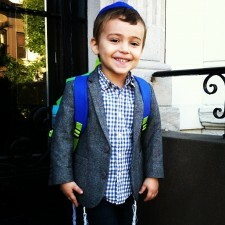 Check out Pop Street Kidz for more awesome photos and their Appaman Back to School Style roundup. Pop Street Kidz also featured the Mod Suit in true “Hotel California” style, as seen in this photoshoot at the Beverly Hills Hotel and Hotel Lido. So cool. 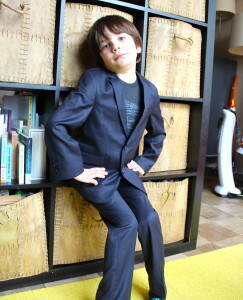 Girls can rock the suits too! Takin’ it casual with a tuxedo t-shirt! Got something to share? Drop us a line via email, Instagram, Facebook, Pinterest, Twitter, or carrier pigeon and show us how you rock Appaman Fine Tailoring!